An AMBER ALERT was issued for missing 12 year old Megan Williams statewide in Florida and Georgia. Megan Williams was last seen at 10:45 pm on Saturday in the 7600 block of NW 18th Court in Margate, FL. She was wearing a black hooded sweatshirt and jeans. Authorities believe Megan Williams was likely abducted by a man she met over the Internet and could be traveling in a silver Chevrolet Malibu toward Texas. An Amber Alert has been issued for a 12-year-old girl from Margate that was last seen at 10:45 p.m. Saturday in the 7600 block of NW 18th Court in Margate, according to the Florida Department of Law Enforcement. The missing child alert has been issued statewide in Florida and Georgia. 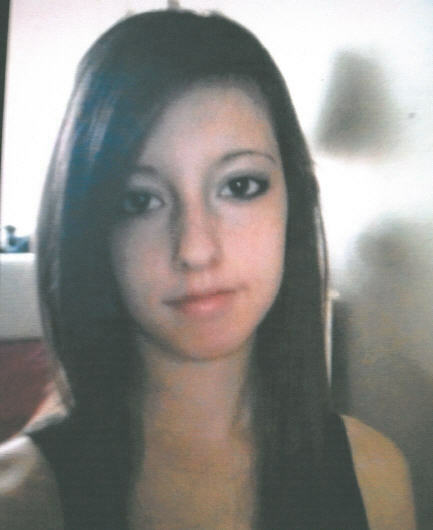 Megan Williams was wearing a black hooded sweatshirt and possibly jean pants, officials said. Louisiana police are on the looking for missing Megan Williams. Florida law enforcement officials believe Megan Williams may be traveling through Louisiana in the company of an unidentified man driving a silver Chevrolet Malibu. If anyone has any information with regards to missing 12 year old Megan Williams, please contact police at (954) 972-7111. UPDATE I: Megan Williams Found Safe. A 12-year-old Margate girl who was reported missing was found unharmed in Walton County, in the vehicle of a 30-year-old Texas man, Margate police reported. Megan Williams was found in the vehicle of Dana Broberg, 30, of San Antonio. Broberg was stopped by sheriff’s deputies in Walton County in north Florida. Officials say they believe he may have been heading back to Texas. Broberg is being detained and charges are pending, police said. The incident is still under investigation.